1. You must join to this campaign at bountyplatform: https://auto-club.bountyplatform.io/bitcointalk/31. 2. Users with a status no lower than Member at BitcoinTalk.org can join Signature and Avatar campaign. 3. Add signature and personal text of your rank. 4. Keep your signature till ICO ends. 5. Don’t use avatar from other Bounty. 6. Users with a negative trust status are not allowed to participate in Signature Campaign. 7. In order to receive stakes for a reporting week period, at least 12 posts should be made within one week, 2 of them in the official ANN thread (for the language you are currently reading). 8. Eligible are posts at least 75 characters. Posts shorter than 75 characters are not counted. 9. If your rank at bitcointalk.org changes, you should report about that in this thread and send an e-mail to belsky.staas@gmail.com. 11. Posts in Games & Rounds, Off topic, Lending, Auctions, Beginners and help, Archival, Investor based games, or Micro earnings will not count. 12. Check your status and counted stakes here: https://auto-club.bountyplatform.io/bitcointalk/31. Legendary: 10 stakes / week;. 1. You must like and follow IAC on Facebook: https://www.facebook.com/autounit.iac.2018/. 2. You must join to this campaign at bountyplatform https://auto-club.bountyplatform.io/. 8. Check your status and counted stakes here: https://auto-club.bountyplatform.io/facebook. 11. Server time is UTC +0. 1. You must follow IAC on Twitter: https://twitter.com/AutoUnit2018/. 2. Account must be at least 3 months old. 3 . Tweets for retweets can not be older than one week. 5. You must join to this campaign at bountyplatform https://auto-club.bountyplatform.io/. 8. Maximum - 4 retweets and likes per day, but not more than 20 retweets and likes per week. 10. Check your status and counted stakes here: https://auto-club.bountyplatform.io/twitter. 11. You should check the dashboard for errors several times a week. If you do not correct the errors on time - your work may not be counted. 12. You have to sign in your personal account on the platform every day (one a week minimum). Otherwise your account can be disconnected from the platform and you won't get your stakes. 13. Server time is UTC +0. 5% of Total Bounty will be allocated to Telegram campaign. This campaign is divided into two campaigns - for the owners of Telegram channels and for bounty hunters. 3% of Total Bounty will be allocated to campaign for the owners of Telegram channels. 1. You must join this campaign at bountyplatform: https://auto-club.bountyplatform.io/. 4. Groups with fake members (invited without permission) will be disqualified. Fill out the form here: https://goo.gl/forms/Q1FfZhXv7pk2Y3m32. After filling out the form, click on "Edit" and save the URL of your form. Further on the saved URL you will go to your form and fill in weekly reports on your bounty activity. Do not share the URL of your personal form! 2500+ Members: 6 stakes / post. 2% of Total Bounty will be allocated to campaign for participants IAC Telegram chat. 2. After joining the IAC group in Telegram, you must place a report in the IAC Telegram group. 6. Only one Telegram and Bitcointalk account can participate in this campaign. 7. You must be active in the Telegram group at least once a week. 8. Users with fewer posts than the number of weeks that the campaign has continued, or who have not been active for a long time (more than 2 weeks), will be rejected. 9. All your posts must be competently written, constructive and positive about the project. 10. Sign in your account and fill out the report in the Bounty campaign form here: https://auto-club.bountyplatform.io/ . This is obligatory, otherwise the report will not be counted! All stakes will be equally distributed among the participants of IAC Telegram chat Bounty campaign. 3% от общего количества токенов, выделенных для проведения баунти кампании, будут распределены между участниками баунти кампании для владельцев Telegram каналов. 1. Присоединитесь к этой кампании на платформе баунти https://auto-club.bountyplatform.io/. 4. Группы с ненастоящими участниками будут дисквалифицированы. ● Заполните форму здесь: https://goo.gl/forms/Q1FfZhXv7pk2Y3m32. ● После заполнения формы кликните по «Редактировать» и сохраните у себя URL Вашей формы. В дальнейшему по сохраненному URL Вы будете заходить на свою форму и заполнять еженедельные отчеты по Вашей баунти-активности. Никому не передавайте URL вашей личной формы! 2500+ Участников: 6 долей / пост. 2% от общего количества токенов, выделенных для проведения баунти кампании, будут распределены между участниками баунти кампании участников Telegram-чата IAC. 2. После присоединения к группе IAC в Telegram вы должны разместить в группе отчет. 3. В кампании может участвовать только одна учетная запись Telegram and Bitcointalk. 4. Вы должны быть активными в группе Telegram хотя бы 1 раз в неделю. 5. Пользователи с количеством постов меньше, чем количество недель, которое продолжалась кампания, или не активные в течении длительного времени (более 2-х недель), будут отклонены. 6. Все посты, которые вы создаете, должны быть грамотно написаны, конструктивны и положительны в отношении проекта. 2. Translation of Whitepaper to the following languages: Spanish, Italian, German, French, Korean, Portuguese, Arabic, Indonesian, Turkish, Japanese, Chinese. 3. Creation and moderation of local Telegram/Wechat/Kakaochat groups to discuss IAC in your own language. Unobligatory or repeated posts shall be rejected for stake counting. You must join this campaign at bountyplatform: https://auto-club.bountyplatform.io/. Fill in the application form here. Duplicate the e-mail letter in this thread. After completing the translation, send a private message to Valdoar on Bitcointalk or Telegram (https://t.me/Bounty_IAC) with a link to your translation. Sign in your account and fill out the report in the Bounty campaign form here: https://auto-club.bountyplatform.io/ . This is obligatory, otherwise the report will not be counted! Local ANN or Bounty thread moderation: 50 stakes + 10 stakes per valid post. · Creation and distribution unique content about IAC. · Promoting it in other forums, in your Facebook/LinkedIn group or any other social outlet with a large outreach. · Creation YouTube videos (including interviews) and post them on your channel. Videos have to be meaningful and related to IAC: the Token Sale, aspects of the Whitepaper, big data, related technology, etc. Only original content will be accepted and stakes will be counted. The article on the profile site must have at least 4000 characters (without spaces). The article or blog should contain 3 links - to the official website of the project and a link to Whitepaper, and one link to your personal profile on Bitcointalk at the end of the article to confirm the authorship. Description of the video you should contain one link to the official website of the project, one link to Whitepaper and one link to your personal profile on Bitcointalk, to confirm the authorship. Youtube videos must be at least 1 minute 30 seconds long. All materials must have hashtags #IAC, #cryptocurrency, #multilevel cashback service. Your blog or video channel must have at least 100 genuine subscribers. The site where the material will be posted must have attendance at least 1000 people per month. In the event that the work performed by you does not comply with the rules set forth above, we reserve the right to exclude you from Bounty campaign and refuse to pay you a fee. You must join this campaign at bountyplatform: https://auto-club.bountyplatform.io/. Post link to your material on bountyplatform. After publication your material, send a private message to Valdoar on Bitcointalk or Telegram (https://t.me/Bounty_IAC), including your account on bountyplatform and link to your blog, article or video. 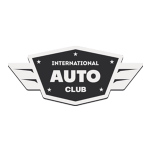 International Auto Club (IAC) is an automated platform bringing together the best features of payment systems, cashback services and partnership programs. At the moment platform already allows solving many of the problems. The blockchain technology will allow the platform to be brought to a new level, to meet new challenges and make the existing solution even more effective. Airdrop tokens will be distribute after Crowdsale. U.S citizen, Hong Kong & China citizen cannot participate in the airdrop program.